Garth Glazier's latest in his landscape series heI started in 2016 in the style of Eyvind Earle. "Shifting my focus to cars again combining the new style with car rendering", says Glazier. 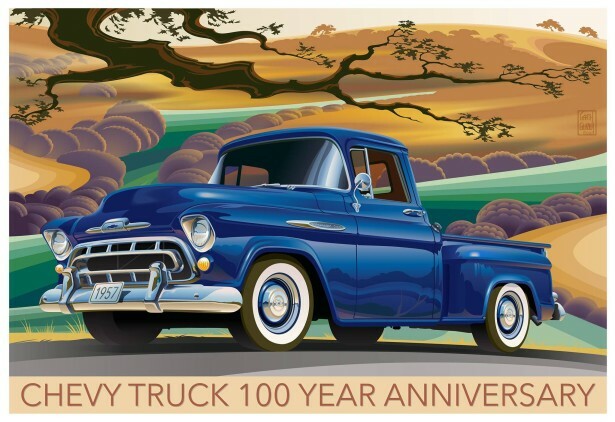 "I think the marriage worked fairly well between this 1957 Chevy 3100 and the stylized landscape approach."